The Lagos State Government on Sunday joined Oyo, Ogun and Osun states to declare Monday public holiday to mark the June 12 anniversary. Governor Akinwunmi Ambode, in a statement issued by the Secretary to the State Government, Tunji Bello, said the state remains committed to the ideals of the annulled 1993 Presidential election. Ambode said the holiday was in honour of the ideals which June 12, 1993 Presidential election represented, being a day that the country experienced an election that was adjudged as the freest and fairest in Nigeria’s history. He said that 24 years after, the ideals of June 12 are still worth celebrating, describing the day as one of the most defining moments of the country’s political history which had positively shaped its democracy. The Governor urged Nigerians to go beyond the commemoration and strive to entrench a viable democracy. 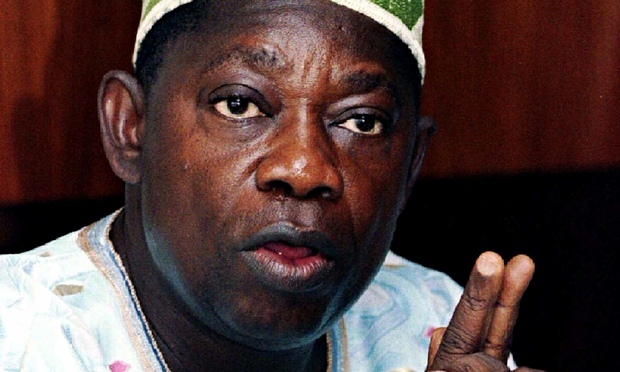 He said that this was a way to immortalise the late winner of the June 12, 1993 Presidential election, M.K.O Abiola through the practice of true federalism and conduct of credible and fair elections. Ex-international, Chikelue Iloenyosi says Zambia couldn’t have qualified ahead of Nigeria. Does a man’s posture and style of dress make him gay?